world-wide for over 40 Years. His teaching method is easy to understand and apply. and enhance your personal musical experience. 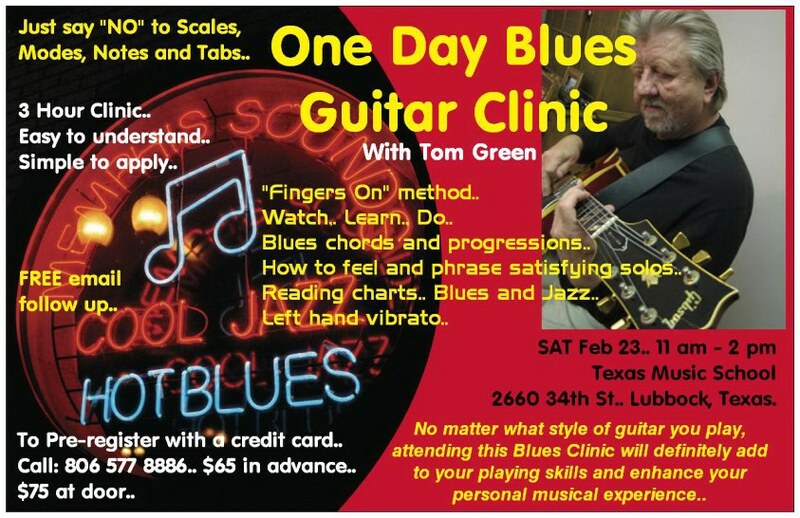 “Fingers on” method.. Watch, Learn, Do..
How to feel and phrase Satisfying Solo's..
Reading Charts.. Blues and Jazz..
FREE “After Clinic” e-mail Follow up for all students..
Pre-registration price: $65.00 per person..
$75.00 At door the day of the Clinic..
Bring Acoustic Guitar (no electric guitars and amps please) Notebook and pencil, plus Tuner and Music Stand (if you have them) ..
you will ever invest in your guitar future. Pre-registration: $65. Registration at door the day of the Clinic: $75.